It was the conundrum that baffled some of the greatest and most eccentric experts of the 18th century - and captivated the British public during an era of unprecedented scientific and technical transformation. The problem of longitude could be a lethal one. Now, for the first time, the full story of attempts to solve the longitude problem - unravelling the lone genius myth popularised in film and literature - will be made freely available to everyone via Cambridge University Library’s Digital Library. Treasures of the Longitude archive, available to view in high-resolution for the first time, include accounts of bitter rivalries, wild proposals and first encounters between Europeans and Pacific peoples. This includes logbooks of Captain Cook’s voyages of discovery, the naming of Australia and even a letter from Captain Bligh of HMS Bounty, who writes to apologise for the loss of a timekeeper after his ship was ‘pirated from my command’. The Board of Longitude collection is the largest project undertaken to date by the Cambridge Digital Library team, comprising more than 65,000 images. Funded by Jisc (http://www.jisc.ac.uk), a charity which provides digital services for UK education and research, the collection has been developed in partnership with a wider five-year research project by Cambridge’s Department of History and Philosophy of Science and Greenwich’s National Maritime Museum. In July 1714 an act of parliament established a £20,000 prize, worth about £1.5 million today, for the discovery of longitude at sea: determining a ship’s position east and west from a fixed meridian line. Cambridge historian Professor Simon Schaffer said: “The problem of longitude could be a lethal one. The act of parliament established the Board of Longitude – think the X Factor, only much more money and much more important – that would reward anyone who could solve the problem of longitude. The hugely significant archive preserves detailed minutes from the first recorded meeting in 1737 right through to the Board of Longitude’s dissolution in 1828. Royal Museums Greenwich’s Dr Richard Dunn, who is currently curating a major exhibition inspired by longitude, said the archive proves that John Harrison, while a towering figure in the story, is not the start and end point for all things longitude. As the schemes for longitude needed to be tested on long voyages, the archive includes much detail on Britain’s maritime interests, explorations and encounters with other cultures. It also played a major role in plans for voyages by James Cook and successors into the Pacific in the 1770s - and into the Arctic in the opening decades of the 19th century. The archive includes four eyewitness accounts of Cook’s Second Voyage and contains the first Western maps and descriptions of many Pacific places and peoples. 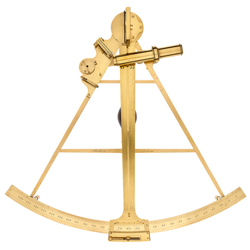 The Board’s work continued long after longitude was effectively solved and its many interests and long duration makes the archive a hugely important primary source on the development of science and technology in the 18th and early 19th centuries. It also provides valuable insight into the social history of the era with thousands of names featuring in its files; from Isaac Newton, to eccentric inventors who berated the Board for not following up on their ideas. Indeed, the archive contains two volumes of ‘impractical’ schemes submitted in the hope of finding a reward. They were later bound and prefaced with title pages such as ‘wild proposals resulting from dreams’. They came via a diverse cross-section of society, from prisoners seeking release in return for their ‘solutions’ to citizens like Mr William Lester, who proposed solar experiments to find longitude that involved igniting points on a globe with a lens. The board underlined his statement that if the globe is correct and properly adjusted ‘you will set fire to London’.